#Log file name for LogType 'file' parameter. #List of comma delimited IP addresses (or hostnames) of Zabbix servers. #Incoming connections will be accepted only from the hosts listed here. #If IPv6 support is enabled then '127.0.0.1', '::127.0.0.1', '::ffff:127.0.0.1' are treated equally. 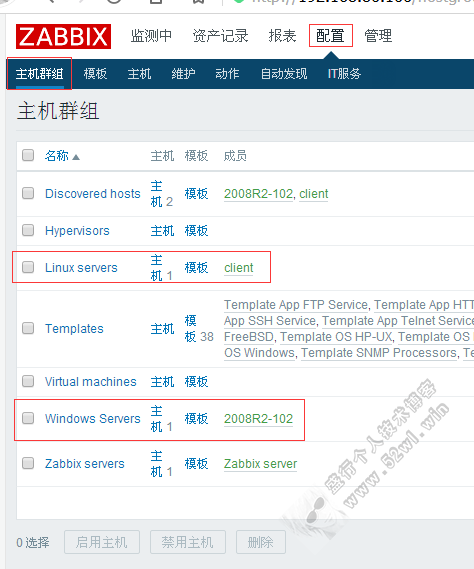 #List of comma delimited IP:port (or hostname:port) pairs of Zabbix servers for active checks. #If port is not specified, default port is used. #IPv6 addresses must be enclosed in square brackets if port for that host is specified. 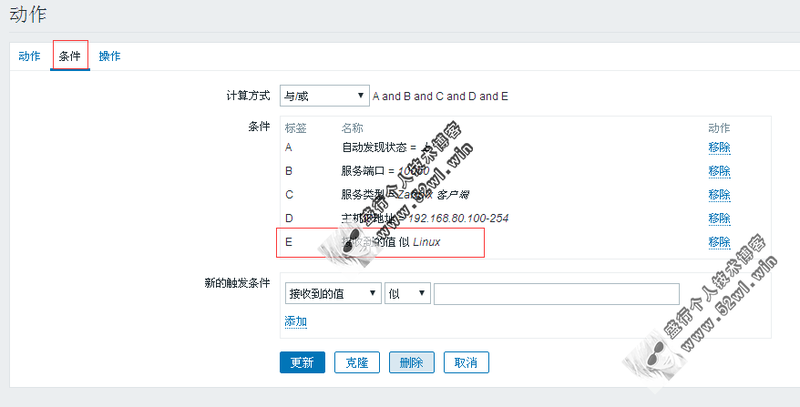 #If port is not specified, square brackets for IPv6 addresses are optional. #If this parameter is not specified, active checks are disabled. #Required for active checks and must match hostname as configured on the server. #Value is acquired from HostnameItem if undefined. #Optional parameter that defines an item used for getting host metadata. #Host metadata is used at host auto-registration process. #the value returned by specified item is over limit of 255 characters. #This option is only used when HostMetadata is not defined. #Allow all characters to be passed in arguments to user-defined parameters. #Additionally, newline characters are not allowed. 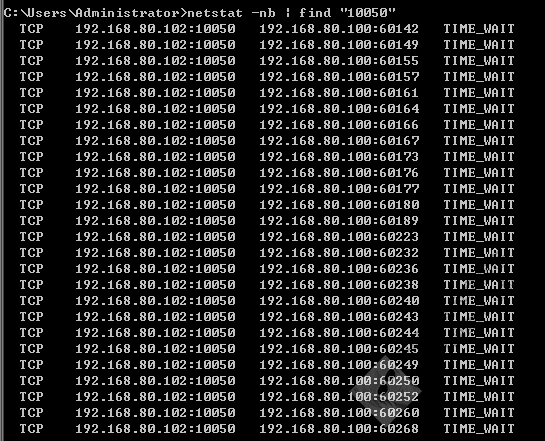 netstat -nb | find "10050"